Infinix, the online smartphone brand of China-based Transsion Holdings, on Monday launched the Note 5 Stylus as its first smartphone with a stylus pen for Rs 15,999 in India. The stylus “XPen” would enable the handwriting recognition feature on the phone and would allow users to doodle, write and paint. Designed with 4,096 sense of pressure, the stylus would be able to produce fine and detailed lines as well, the company said in a statement. Notably, it’s the same Infinix Note 5 smartphone with a Stylus and double the RAM. The dual-SIM smartphone comes with a 5.93-inch Full HD+ FullView Display, 6GB RAM and 64GB internal storage. The smartphone features a 16MP AI rear camera with dual LED flash and 16MP AI front camera including features like Bokeh effect and timelapse amongst the others. Powered by MediaTek Helio P23 octa-core 64-bit processor and a 4000mAh battery, the smartphone runs on Android 8.1 Oreo (Android One) with features like Google Lens, Assistant, AI Power Management and 18W Fast Charge that could charge the phone in one hour, the company claimed. 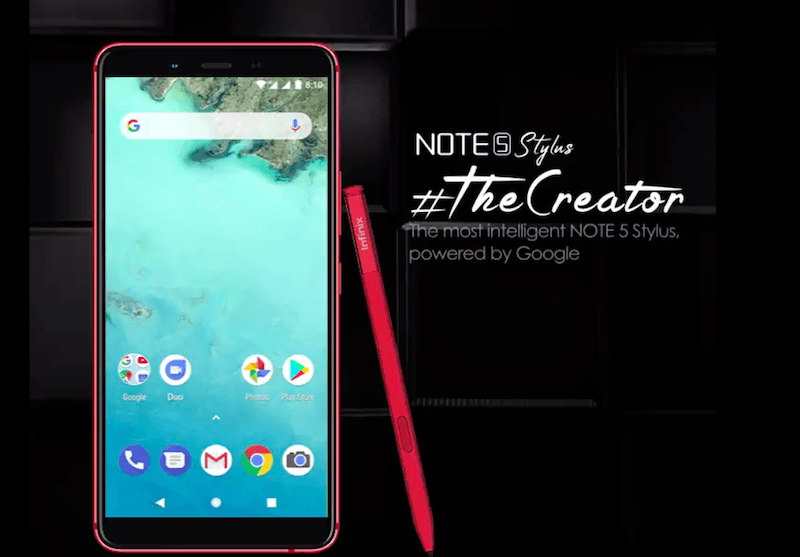 The Infinix Note 5 Stylus smartphone will be available from December 4 in two colours — Bordeaux Red and Charcoal Blue exclusively on Flipkart. The Infinix Note 5 Stylus will receive Android 9.0 Pie update in January 2019. Need a good tablet with stylus…not phones..